In the first part of U of L past versus present, I previewed my predictions for the whole series. This week I’ll be taking a tour into the first topic, buildings on Belknap Campus. I predicted buildings of present-day U of L were better, after researching the topic I’ve decided to stick with this answer. I didn’t find any significant change in 10 years, and let’s be honest, going back to 1925 sounds more fun. U of L moved to what we know today as Belknap Campus in 1925. “The trustees (at the time) seized on the availability of a city-owned home for delinquent, vagrant and orphaned young people that was merging with a similar Jefferson County institution located near Anchorage,” Archivist for Regional History Tom Owen said. Now, only eight of the original buildings are still here from that purchase. Those eight are Gardiner, Gottschalk, Ford, Jouett, Patterson, Oppenheimer and Brigman Halls, and The Playhouse. All of these stand in their original home except for The Playhouse, which was where Ekstrom Library now sits. It was relocated between Second and Third Street. Today there are over 80 residential halls, campus life, academic and administrative buildings on campus. I have to argue, if we only had the original eight buildings, U of L wouldn’t be as great or as advanced as it is today. We have Ekstrom Library, which offers students a quiet study space, and the SAC which is full of food and a great place for students to hang out. The other buildings on campus all aid in giving students the best experience on campus as well. Even if I had only gone back 10 years, I’d still say that present day U of L buildings are better. “To me, the present campus is much improved over ten years ago. The oval, including the driveway pavers and Third Street water feature, has been vastly upgraded, the adjacent Thinker statue refurbished, the Trager Plaza installed and significant campus landscaping — including new trees, plant beds and other features — has occurred,” Owen said. 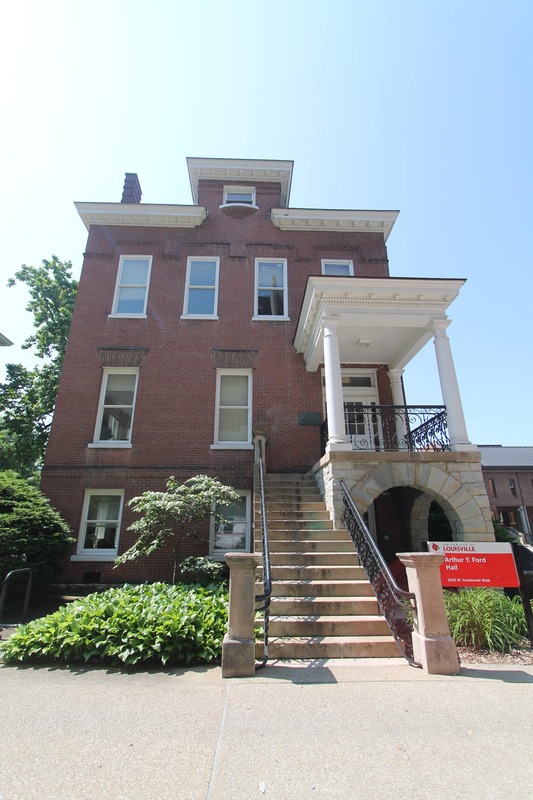 Comparing present day buildings at U of L to the past seems like a no-brainer. Of course, the present is the best, but it’s great to know some buildings have stuck around since we moved here. Check back in Fall 2018 for part three of the series. Previous Megan’s brew: Is the sun shining for students this week?